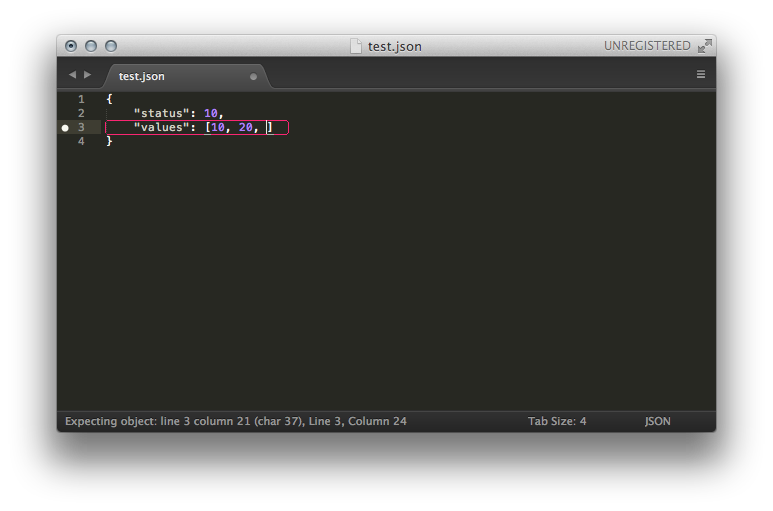 This is a plugin for Sublime Text 2 and 3 that finds issues in JSON. Open Command Palette and select "Package Control: Install Package", then search for JSONLint. Annotations are enabled when syntax is set to JSON.